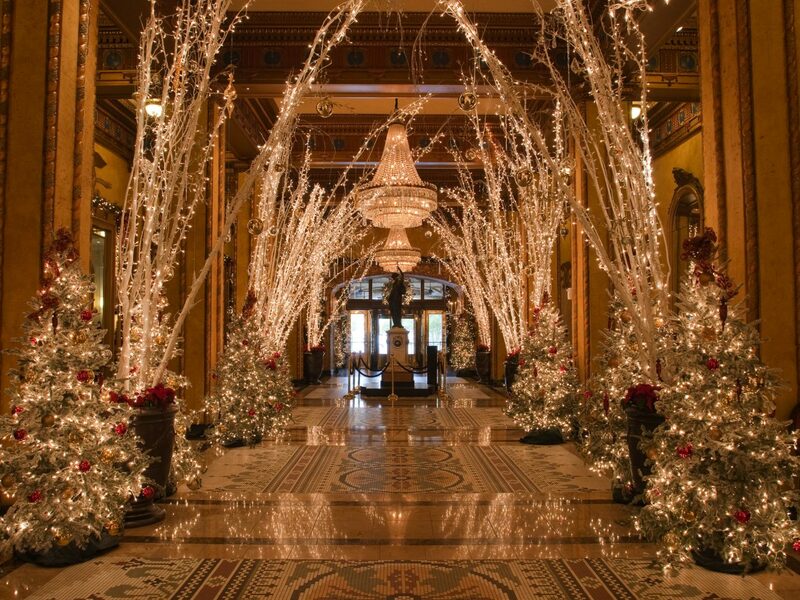 4 Willard InterContinental Washington, Washington D.C.
'Tis the season, and some of our favorite hotels around the world are decking their halls with an array of awe-inspiring displays, from designer Christmas trees to life-size gingerbread houses. Pour yourself an eggnog and raise a toast to the spirit of the holidays. Leave it to this soigné Parisian siren to herald the season with a perfectly chic Christmas tree. For this year's festive lobby, the Plaza Athénée commissioned Cordelia de Castellane, the Creative Director of Baby Dior (the brand's children's-wear line), to design a tree in the classic Dior style. The 16-foot-tall tree will be festooned with baubles, bows, and quotes from Monsieur Dior, all in a stylish gold and white color scheme, while the gifts underneath will include a medallion-back chair and Gabriel the teddy bear, the emblematic Baby Dior toy. After you've cooed over the lobby, head to the hotel's garden café, La Cour Jardin, for ice-skating on a custom rink surrounded by illuminated Christmas trees. 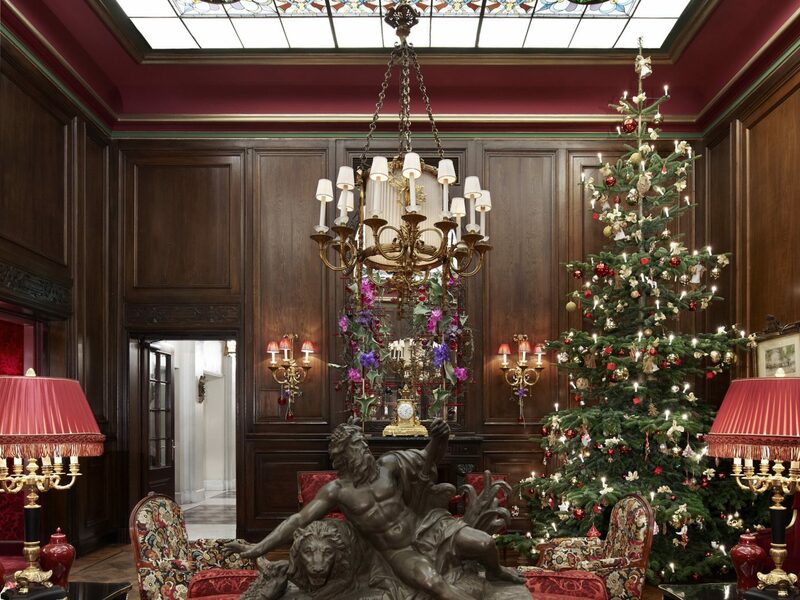 This legendary Mayfair grande dame always pulls out all the stops during the holiday season, and this year is no exception. 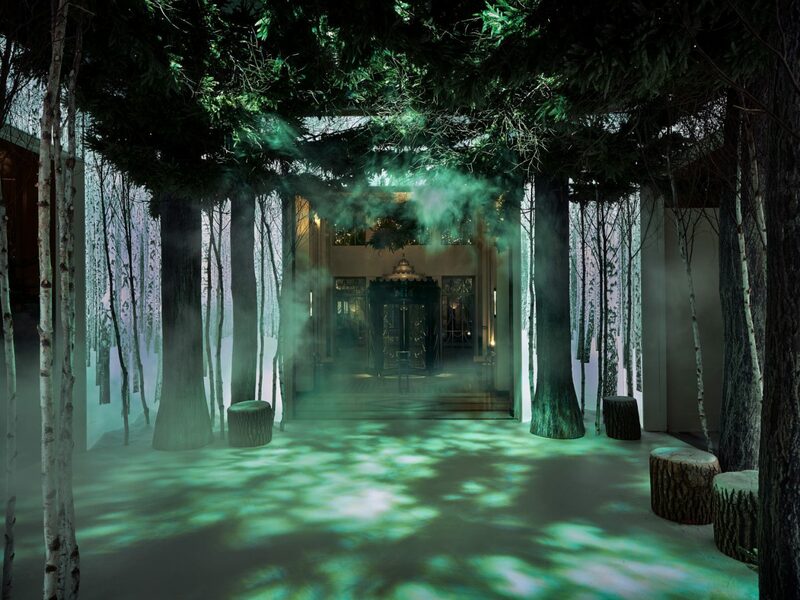 The lobby has been transformed into an enchanted forest, a gorgeous feat of imagination conceived by the design genius team of Marc Newson and Sir Jony Ive (Chief Design Officer for Apple) in collaboration with set designer Michael Howells. The installation offers an immersive experience that riffs on the fusion of nature and technology, transporting guests into a fairytale world as they wander through a "forest" of both real and digital birch trees, projected by soaring light boxes. Magical light effects simulate night and day on a loop, along with a woodsy soundscape that changes with the time of day—from a dawn chorus of birdsong in the mornings to nightingales after dark. 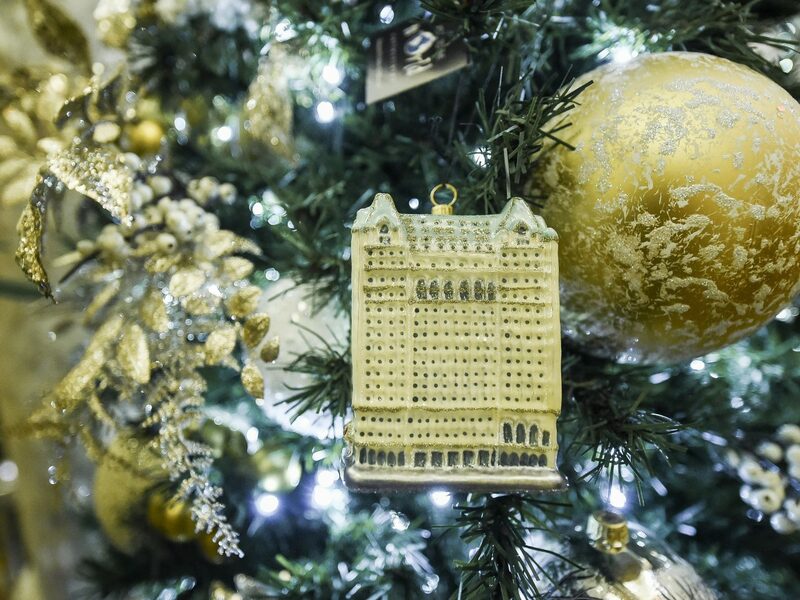 Few cities match New York when it comes to sheer over-the-top holiday fabulousness, and The Plaza, sitting pretty at the southern end of Central Park, epitomizes the fun-filled glamour of the season. 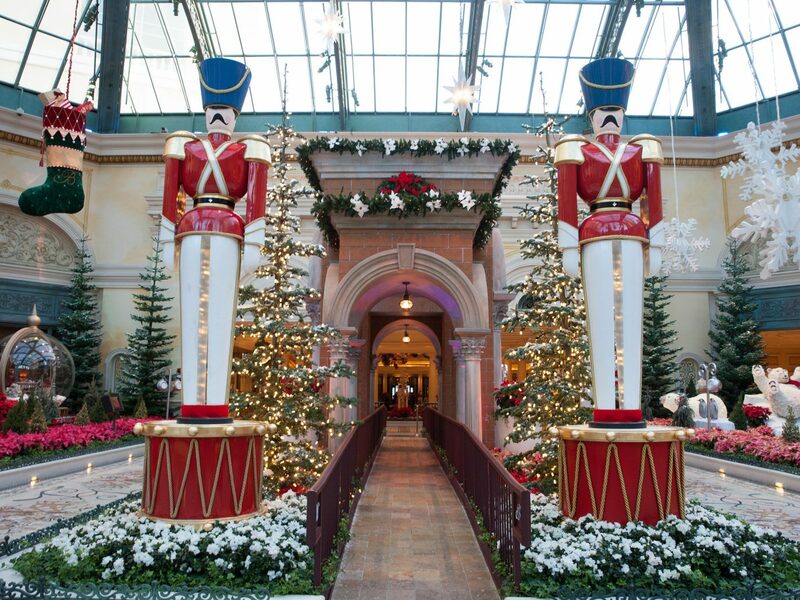 Here, families can savor holiday tea in the Palm Court, visit with Santa at brunch with Eloise at The Plaza (we're talking crepes, pink hot chocolate, and the chance to write letters to Eloise), and shop for blingy holiday gifts like gems from the Legacy Jewelry Collection and collectible ornaments. 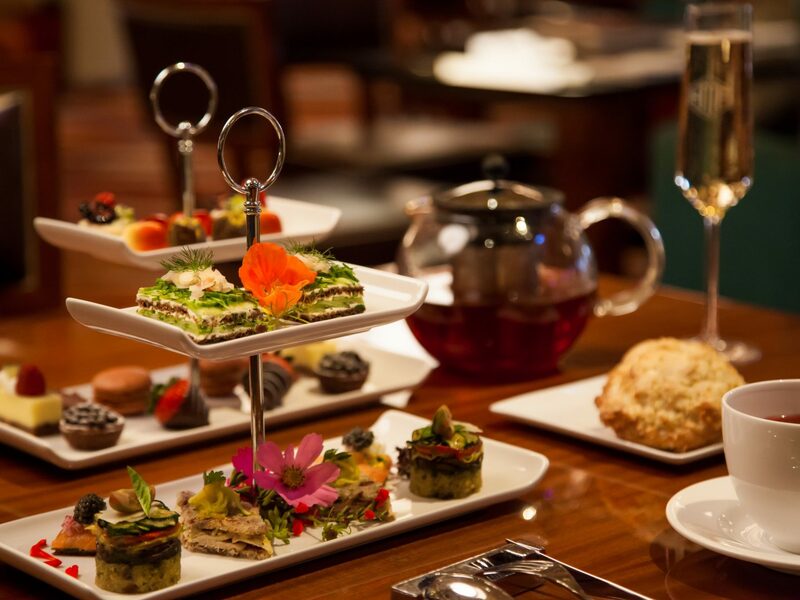 The hotel’s restaurants also put out delectable spreads, including a grand holiday buffet for Christmas, holiday oyster and cocktail happy hour, and festive pre-fixe menus at Todd English Food Hall. The season's topper? A New Year's Eve Black Tie Fete at The Palm Court. 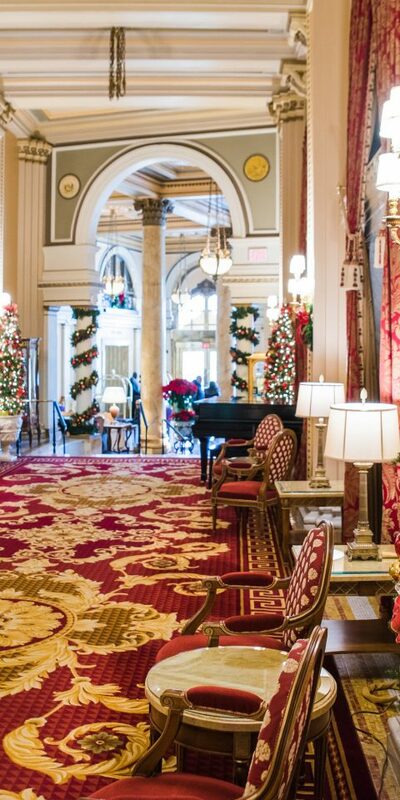 Willard InterContinental Washington, Washington D.C.
Visit this stately D.C. legend to experience a unique Christmas in the capital, thanks to a lobby tree that features three decade's worth of White House ornaments. This cherished holiday tradition was started by the White House Historical Association in 1981, with a new bauble honoring a different president or special White House event designed each year. The fire-engine-inspired ornament for 2016 honors the administration of Herbert Hoover, who served as the 31st president of the United States from 1929 to 1933. (The engines represent both those that responded to the 1929 Christmas Eve fire at the White House and the toy trucks presented to children by the Hoovers the following year.) There are also choral concerts and carols planned nightly, along with seasonally inspired warming cocktails in the Round Robin bar. Order a Jingle Bell Julep or Round Robin Hot Noggin Eggnog and join the fun. 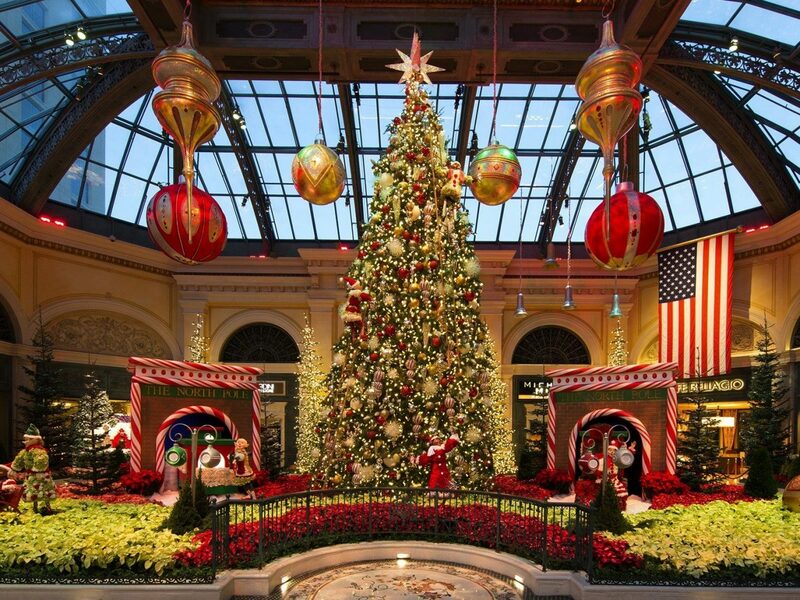 Sin City's most celebrated hotel goes all in when it comes to Christmas cheer. 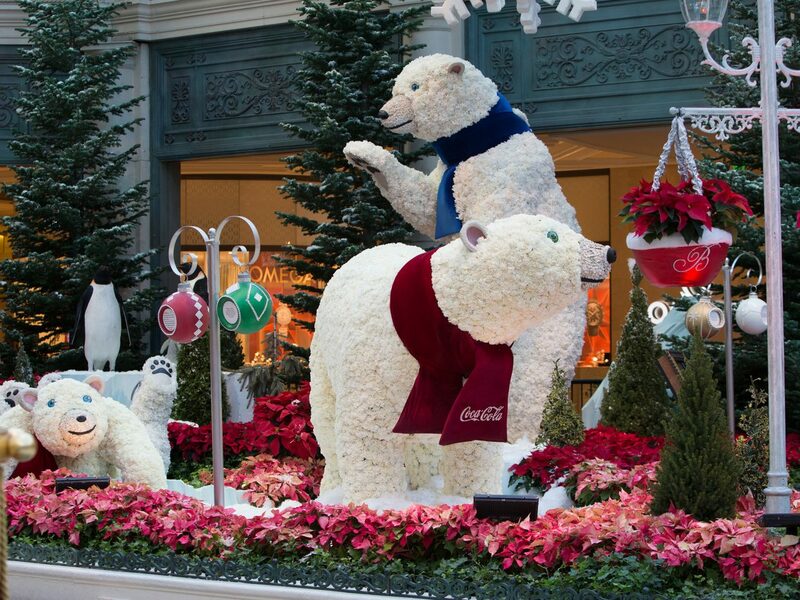 The Bellagio's enchanting Conservatory & Botanical Gardens, which typically features rotating displays of living flowers and plants, is celebrating this year's winter season with display spotlighting a custom train station coated with crushed walnuts, filled with poinsettias, and surrounded by silver tip fir trees. Take a peek through the station archways to spot polar bears playing among icebergs and gargantuan snow globes. 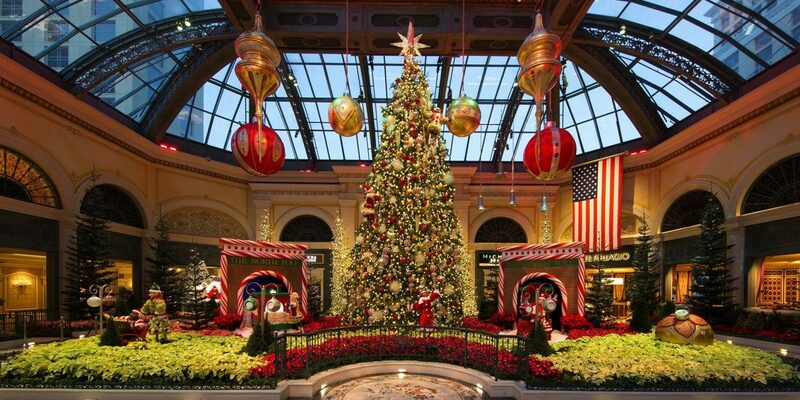 While on the scene, don't the 42-foot Christmas tree strung with thousands of holiday lights, or the hotel's famous Fountains at Bellagio, which come alive with holiday music to the tune of such classics as "It's Beginning to Look a Lot Like Christmas" and "Santa Baby." As if Vienna isn't already über-romantic at this time of year—the capital's legendary Christmas markets are worth a trip alone—one of its most celebrated hotels also takes the season to heady heights. 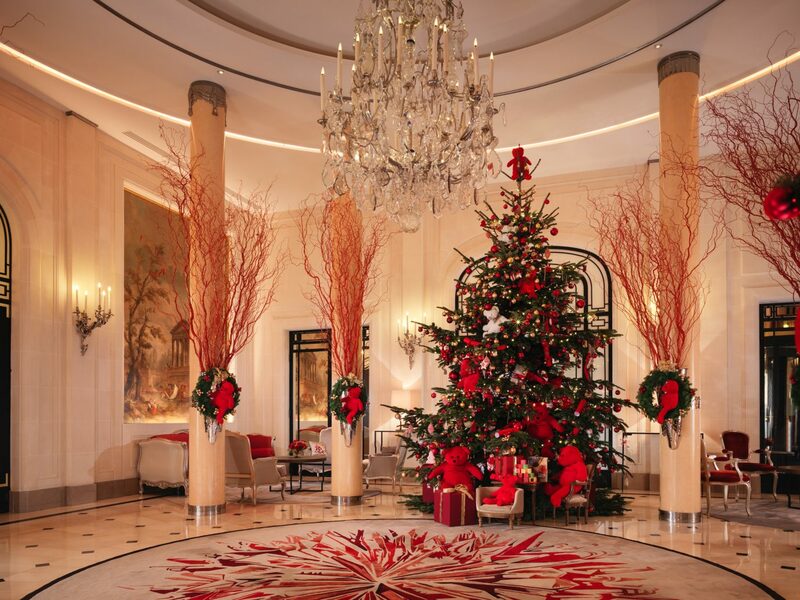 Expect a very Austrian Christmas at Hotel Sacher thanks to a tree festooned with the property's very own collection of Original Sacher Christmas Tree Ornaments, which feature characters from the world of hospitality like the adorable "Doorman" and “Waitress." The hotel, which is also the original creator of one of the world's most famous cakes, the Sacher-Torte, has also just released the Original Sacher Baking Book—a perfect gift for that friend who's dying to whip up their own sweet Salzburger Nockerl dumplings or chocolate Sacher-Torte at home. 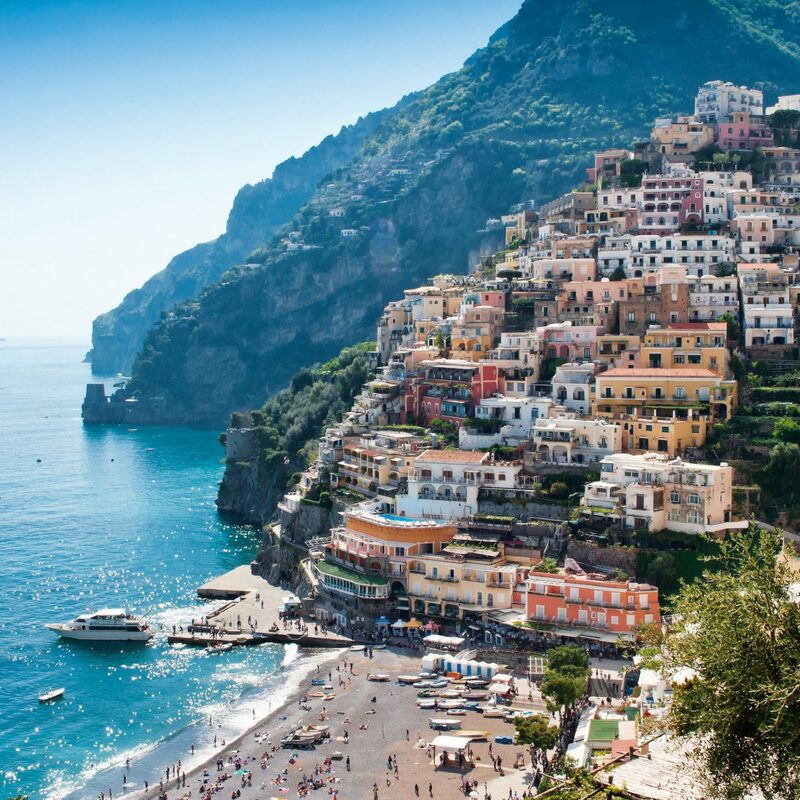 This Renaissance-inspired Florida icon breaks out all the bells and whistles during holiday season. 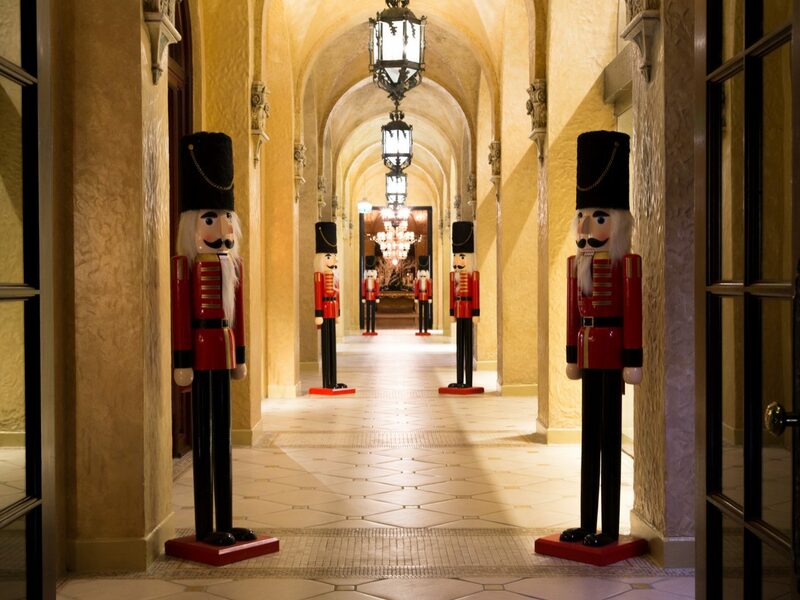 Decorations at The Breakers are planned months in advance, after which it takes a full five days and 300 hours to prepare for the hotel's 12 days of holiday-themed events and activities. 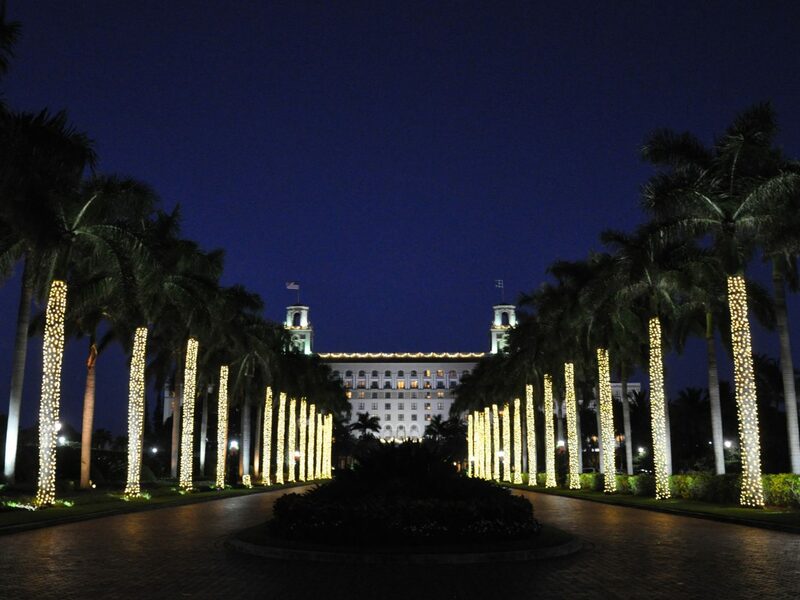 The magic starts on arrival as guests pass through the 1,040-foot Main Drive, flanked by majestic royal palms and Canary Island date trees strung with thousands of soft white lights. 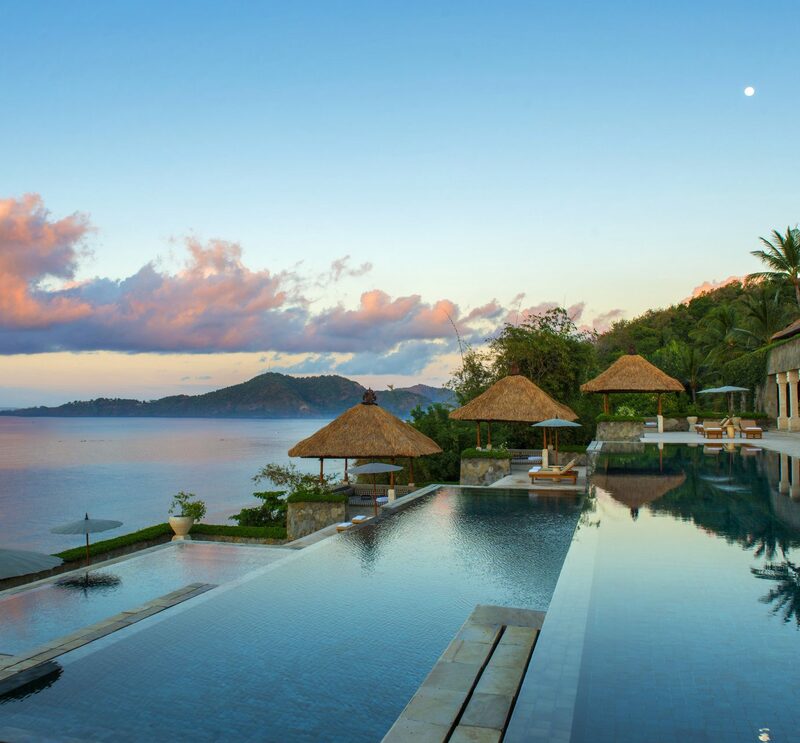 The lobby itself houses two Christmas trees topping out at 18 feet and adorned with 4,000 ornaments and 25,000 lights, and—as if that's not enough razzle dazzle—there are an additional five nine-foot-high trees scattered around the 140-acre oceanfront property along with a life-sized gingerbread house on the outdoor playground. 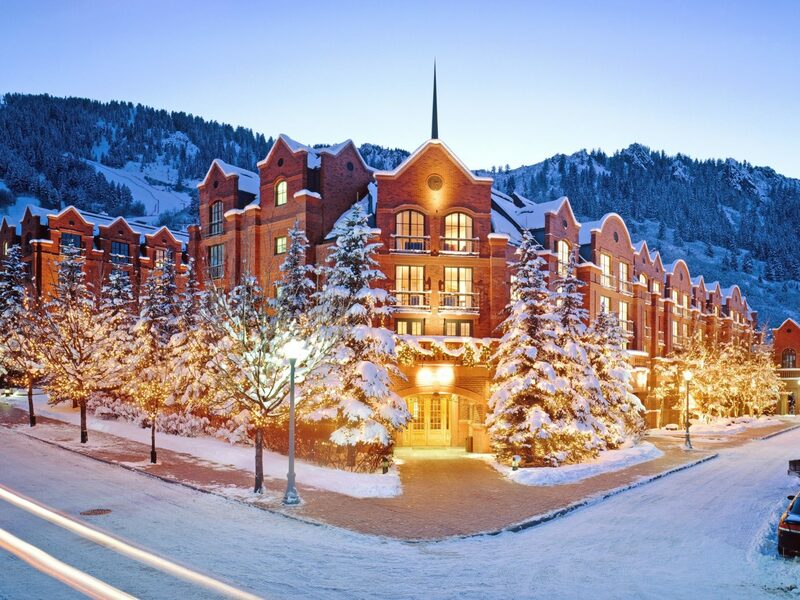 If a classic white Christmas is on your wishlist this year, there's no finer place to experience it than in Aspen. 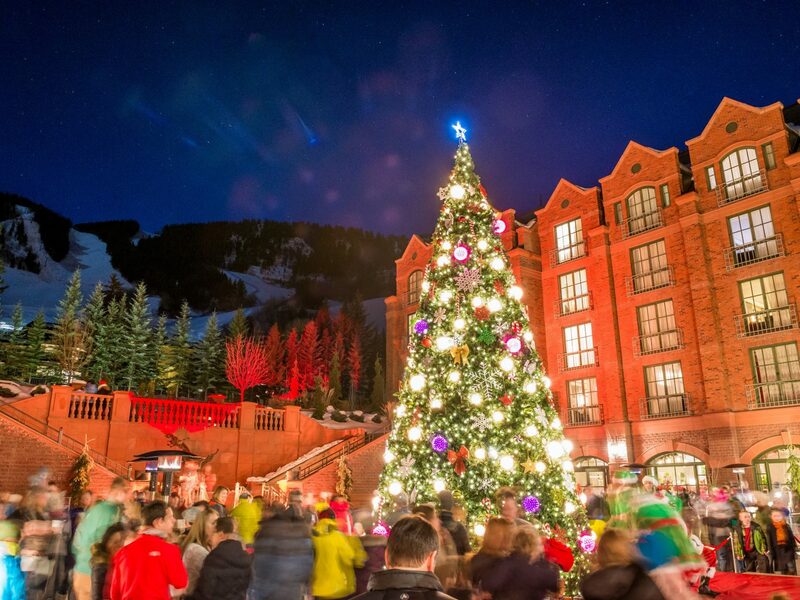 The St. Regis Aspen hosts a myriad of fantastic festive happenings, including the Annual Tree Lighting Ritual in its Fountain Courtyard that features the Aspen High School Choir and Band, a photo booth with Santa Claus, festive beverages, and a dual champagne sabering ceremony. Fancy crafting your own bespoke holiday ornament (at both Christmas and Hanukkah-themed workshops) or sending the kids off to create a special gift for their parents in the secret workshop? 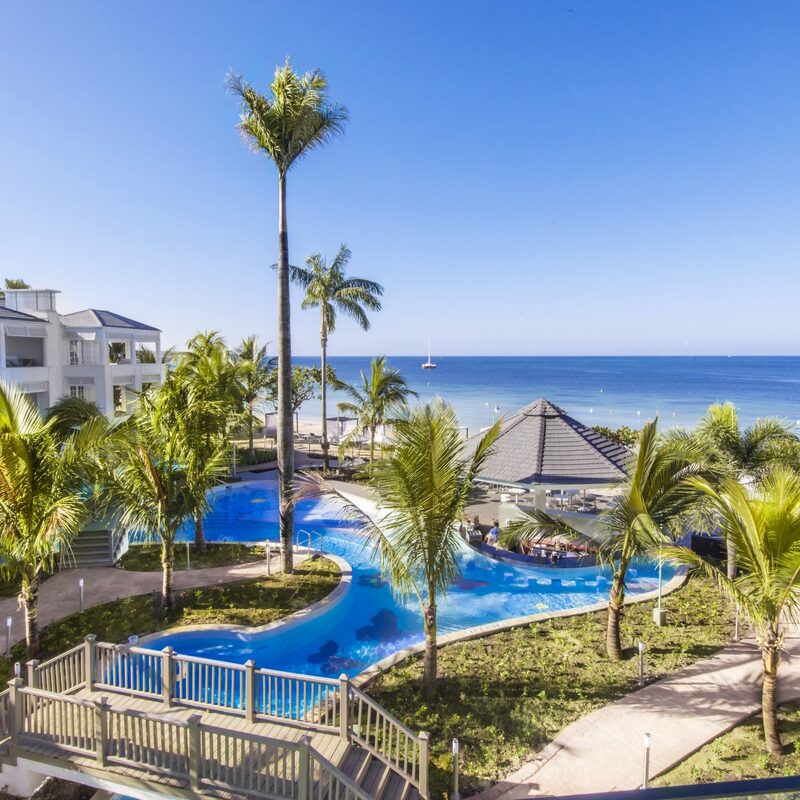 No problem—the hotel has it covered. 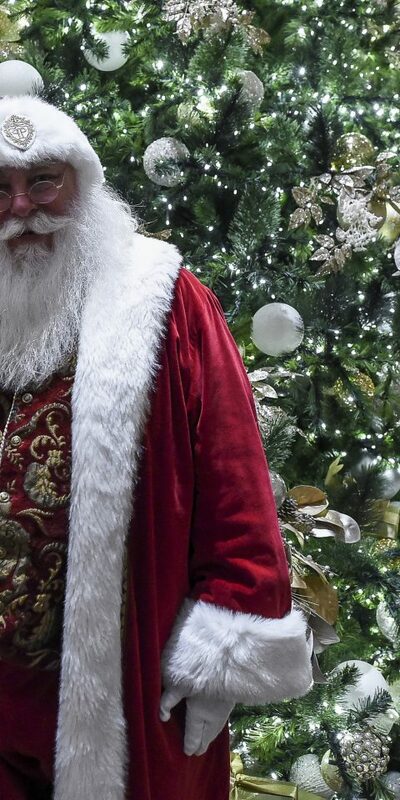 There's even readings of "Twas the Night Before Christmas" in Santa's Living Room (actually the Astor Library), including photo-ops with St. Nick himself. 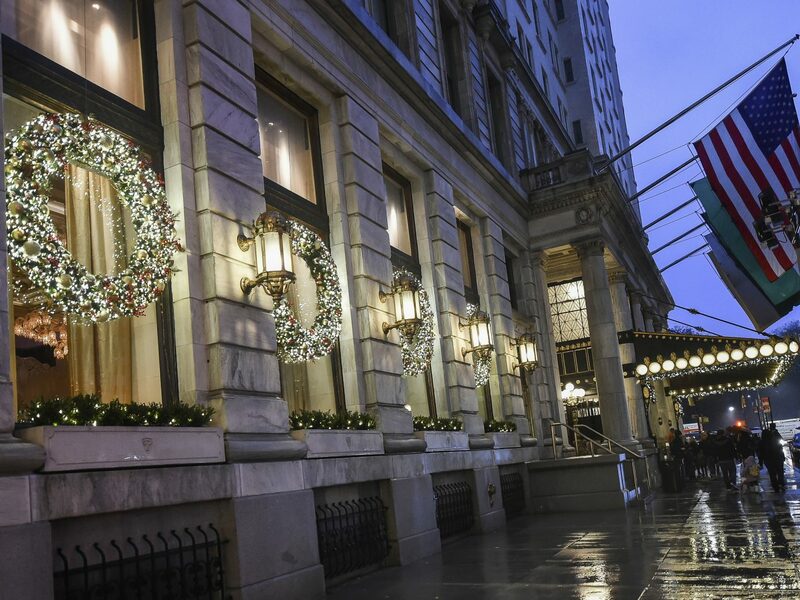 The block-long lobby of this Waldorf Astoria classic in the Big Easy transforms into a festive wonderland every year at this time—to the tune of 60,000 twinkling lights, 46 Christmas trees, 22 birch trees, and 30 yards of garland. Even the Sazerac Bar's mixologists get into the spirit, crafting holiday cocktails ranging from a chilled Mrs. Claus’ Cookie to warm Cajun butter rum. 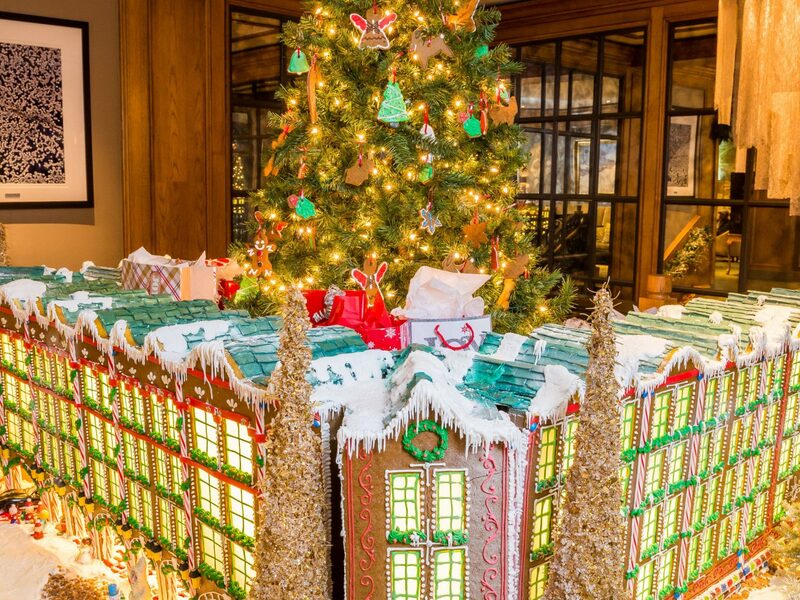 More deliciousness awaits in Teddy's Café, where award-winning head pastry chef Deborah Heyd has concocted a massive holiday gingerbread village. This year's extravaganza features a seven-foot gingerbread Christmas tree adorned with the 12 New Orleans Days of Christmas. It's probably no surprise that Walt Disney World really goes to town, sprinkling fairy dust each December. Disney's holiday team work almost year-round designing, maintaining, and decorating the themed Christmas trees you'll find across each resort. One of our favorites is at this 867-room Victorian era-inspired stay, just one stop on the monorail from Magic Kingdom. 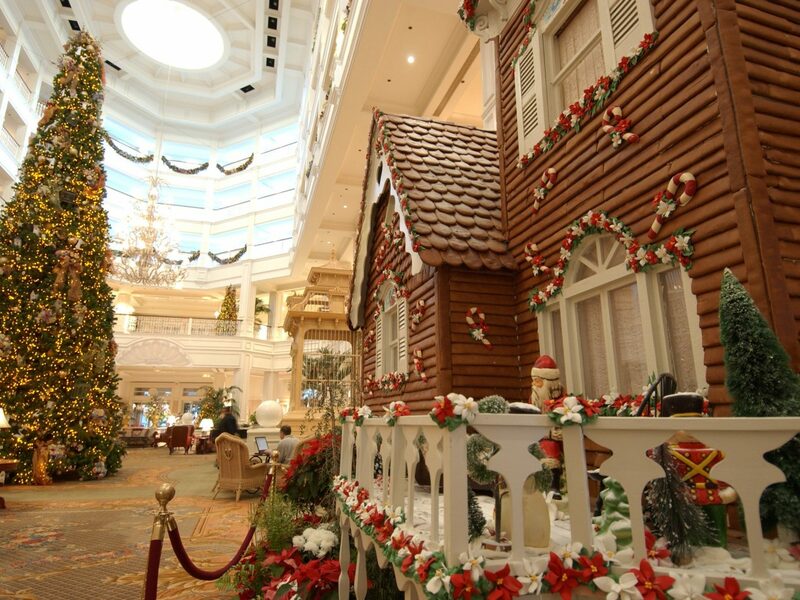 Not only is the lobby tree a glittering, multi-story extravaganza (it almost reaches the top of the lobby's atrium ceiling), there's also a life-sized holiday gingerbread house created by the Bake Shop using a traditional gingerbread recipe from Austria.